Tickets are $8. Purchase at the box office (cash or credit) Friday 9/19, 6pm - 10:00pm, Saturday 9/20, 12pm - 10:30pm, Sunday 9/21, 12pm - 2pm. Brian McGuffog, New York, NY, Short, 3:14, World Premiere! She was washed up and tired. That's when he came down and took her away from everything. Nobody let's a tired girl sleep anymore. 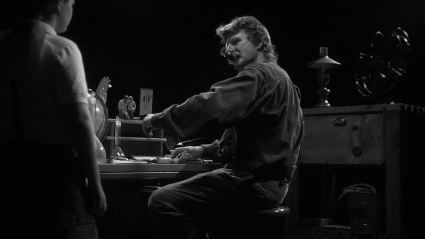 Paul Lingas, New York, NY, Short, 12:50, World Premiere! Tim and Kelly keep running into each other and though it’s pretty clear the attraction is mutual, Tim can’t find the right thing to say until it’s too late. Or is it? Nicholas Santos, Brooklyn, NY,, Short, 8:37, World Premiere! Nisan Dag, Istanbul, Turkey, Short, 10:41, World Premiere! 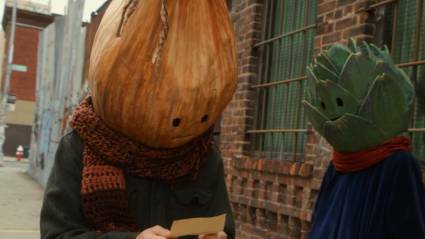 In a world where a minority race with vegetable headed people exists, an onion headed smelly man struggles to fit in the society and he tries to get a 'normal' girl to go on a date with him on New Years Eve. Adam Bertocci, Bronxville, NY, Short, 12:13, Brooklyn Premiere! Trapped inside a bunker, a father tries desperately to help his son, who suffers from a lack of friends. If Walt Disney entered The Twilight Zone, this would be it! 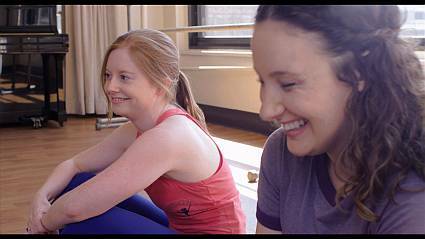 Beth Spitalny, Brooklyn, NY, Short, 14:34, Brooklyn Premiere! When the bathroom doorknob falls off, a girl is trapped inside. Beyond the door her life is falling apart, and when she's set free hours later she finds herself stumbling into a new reality. A tragicomedy based on a real event, Trapped Girl explores the moments in our lives when the ground shifts and everything is heightened, scary, and full of possibilities. Uladzimir Taukachou, Bayonne, NJ, Short, 20:00, Brooklyn Premiere! This emotionally gripping film is about two young adults who fall in love with each other. The couple struggles to deal with a health challenge. The story brings romance and laughter into your heart, it will make you cry, laugh, and think. Two people meet on the train station. Life is full of surprises. You never know, where you will meet your soulmate.